My youngest daughter turned 29 years old today. That really makes me feel old. March 15th was her due date. She came just when we expected her. Secretly, I wanted her to be born on March 17th due to St. Patrick's Day. Instead she came home from the hospital on the 17th. I was thin when I got pregnant with her. For 29 years, I have been trying very hard to lose weight. Oh yes, I would lose some and then I would gain it back. Ten years ago I joined Spark People. I weighed 20 pounds more than I do today. It has really been a battle losing weight and keeping it off. Meds for depression, anxiety and heart disease has made it difficult for me. The only way I have been been able to keep it off is with exercise and not eating after dinner. I have incorporated more freggies in my diet. Water is my staple. Whether I eat dinner at home or at a restaurant - I always reach for ice water. I will also add that getting 7 to 8 hours of sleep has also helped me. I find that if I do not get enough sleep, I crave snacks. Particularly, I will crave sweets and chocolate. We each need to find what works for us. Each individual is different. Your daughter had her daughter on her (mom's) birthday?! How cool is that. What a great testimony about the 20lbs and how you did it. For so many who struggle, it is inspirational. You sound like me, except for the losing and keeping off the weight. :) Thanks for the reminder to just stick to it and it will work. on your weight loss! And having a wonderful daughter! 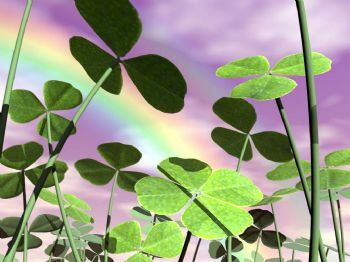 Happy St. Patrick's Day to you! Think of how many sticks of butter that is! Its phenomenal! Good for you finding out what works! Good for you...those pounds are gone, gone, gone!! Thank you for pointing out that we need to do what works for us. Getting to know that can take time but we are worth it. Good job on what you're doing. Awesome! Happy birthday to your DD! on your weight loss! I agree with you about not drinking your calories, so not worth it. Happy birthday to you daughter and congratulations on your successful weight loss. Good work on finding combination of diet and physical activity that works for you. own experience) ........Best to you! You did it!! ....so proud of you and your self discipline that enabled you to make your goal. Thank you for sharing it with us! You have a lot to celebrate this St. Patrick's day! I'm happy for your accomplishments. You should feel proud! It must be satisfying to look back and recognize how you made the changes to get you where you are today. Good for you! And thank you for sharing your insights to help me and others too! Thanks for sharing your story. It is a theme I need to pay attention to. Congratulations! We are all an "experiment of one"
Water is my beverage of choice too. I found it helps not to drink my calories. congrats! that is a wonderful accomplishment! I agree with you. The age of our children is a reality check of how old we are. for you for the day you gave birthday! Thank you for some little tips on weigh loss! We all need to figure out the routines that work for us. We all have health issues of some sort that weigh us down - Mine is depression and hypothryroidism. Sleep and the right nutrients/supplements along with exercise is my routine. Great job on figuring it out!! First off - on freeing yourself of 20 lbs!!! Also for sticking with it come what may! My DD turns 29 on the 24th! We must be of an age... I also have a step daughter who is 34 and 4 amazing grands ... 2 for each daughter! Some days I look at all of them and wonder "where DID the time go?" We are blessed really for losing weight and finding SP. Thank goodness for our children too!!! Mine are a joy...along with my grandson...Keep up the good work!! Congratulations for not giving up! You sound like a very strong person! Congratulations Linda on 20 pound gone. You are doing fantastic! I think that is a lot of my problem is I don't get enough sleep. My youngest son is 18 years old and my oldest is 34 years old. I have to add 3 grandkids. Sleep, or lack thereof, is definitely my trigger. That is so true--we need to find what works for us. I am going to start paying attention if my cravings are worse when tired from lack of sleep. I know this time change is doing me in. Keep up the great work!!! Congrats on the loss and thank you for sharing your secrets of success!! happy B-day to your daughter!